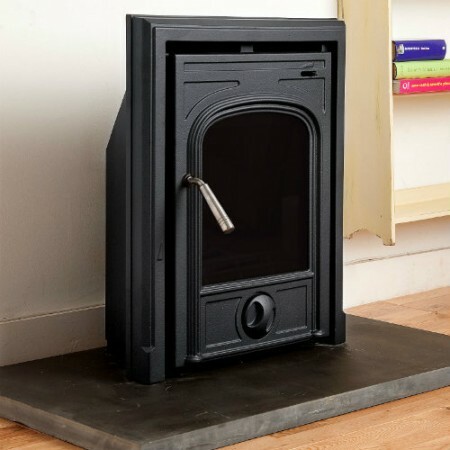 This delightful and popular stove has been in the Coseyfire range for many years now. It has proven to be very durable, efficient and very popular. The stove incorporates a sizeable firebox for a 4.5kw stove and a full integral multi-fuel grate for burning wood and smokeless fuel. The stove has a very large 300mm by 270mm pain of German SCHOTT glass that gives you a clear uninterrupted view of the fire. We have incorporated an effective convection system that draws cool air into the stove and forces hot air into the room. Insert stoves as a whole struggle to get a huge amount of heat into the room, and this technology helps to make the stove more efficient at distributing heat. The CL50 is designed to comfortably sit back into a standard 16" or 18" fireplace opening; perfect for people who do not want to alter their fireplace. With a maximum heat output of 4.5kw it will heat a good sized space and will not require extra ventilation. 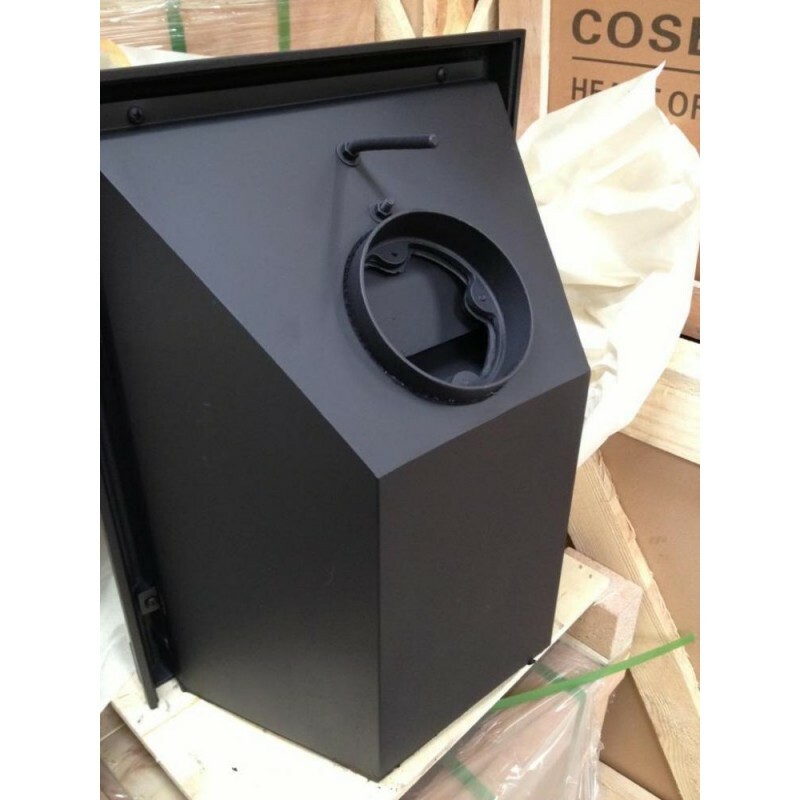 The Coseyfire CL50 has an excellent overnight burn system. 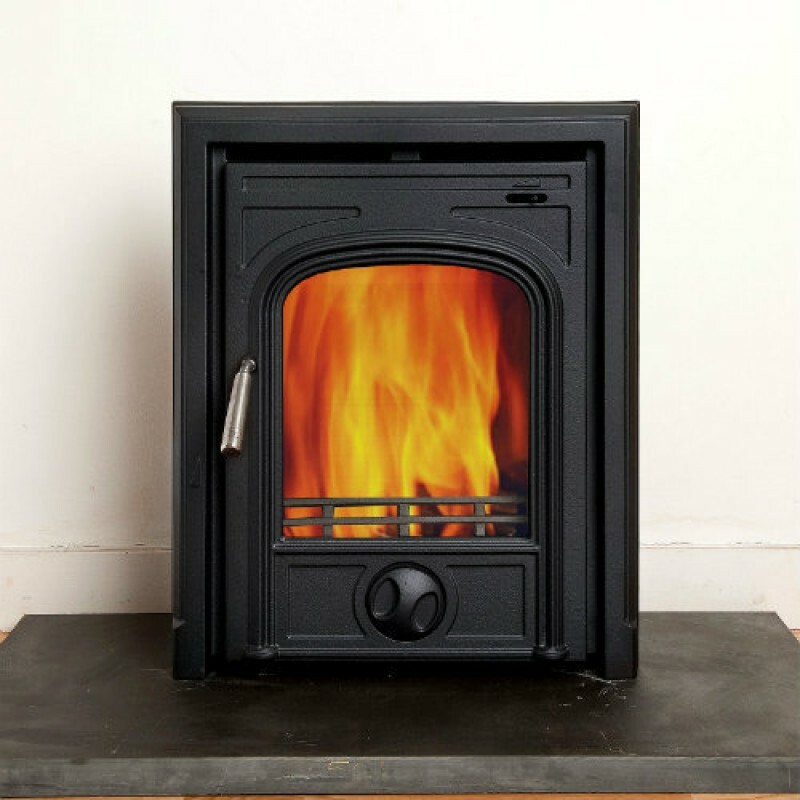 Its air tight door gaskets and manually controlled air flow controls allow you to close the stove right down overnight and wake up to a warm house in the morning. All you will need to do is reopen the air controls, add a little coal or wood and watch the fire roar again. 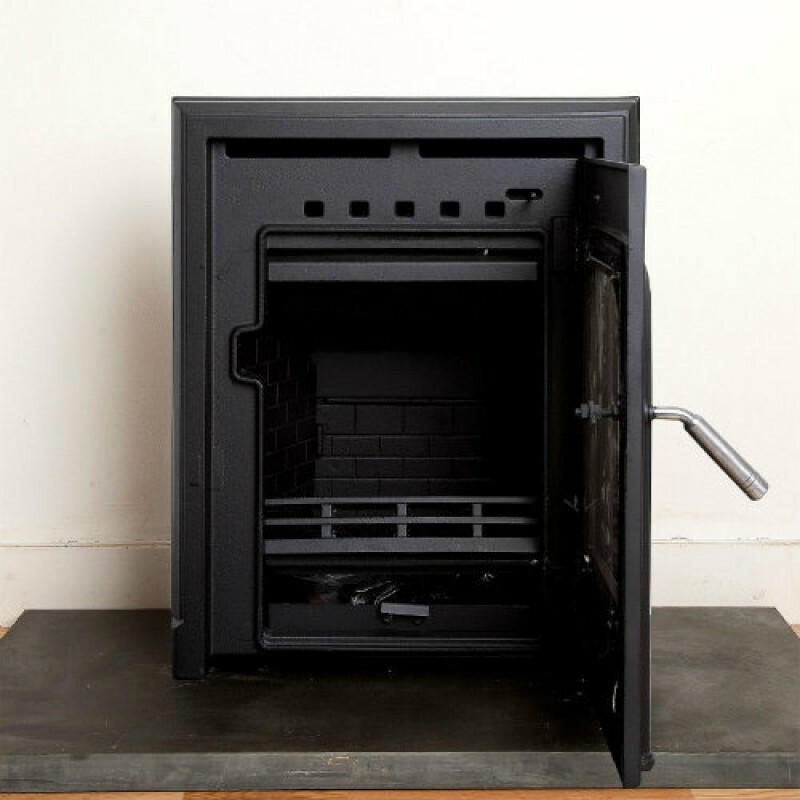 Body - The stove is made from thick Australian cast iron allowing the stove to radiate heat for much longer than stoves with thinner castings. The stove is also made entirely from mineral cast iron and not re-melted scrap like many others. This gives the stove a much less chance of cracking in the future. 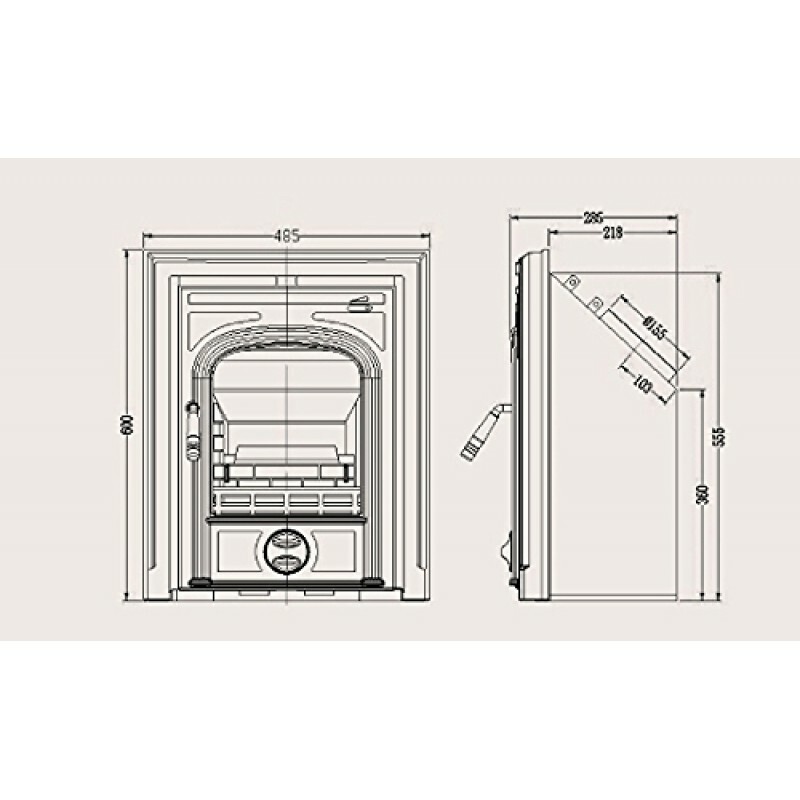 Please note that this is the price for delivery of Coseyfire CL50 Insert Multi-Fuel Woodburning Stove 4.5kw, With convection only. The final amount might change depending on the contents of your shopping bag when you check out.